There is no magic in a tarot card, but the insights and conversations sparked by a tarot reading are often nothing short of magical. Join me, Cole Imperi, each week for episodes in two formats: interview-style episodes which take place over a tarot reading and Mortisodes: episodes which explore concepts related to the field of thanatology. Host Cole Imperi, a thanatologist and public health educator, takes listeners through a non-magical method of introspection and self-discovery via tarot cards. If interviews aren’t your thing, listen to the Mortisodes which feature thanatology-adjacent content. Ever wonder how death and difficulty make life better? This is the podcast for you. "Episodes" feature interviews via a tarot reading. You'll meet someone new in each episode, and most episodes feature an update at the end—what happened after the tarot reading? "Mortisodes" are shorter in length and feature distillations of concepts from within Thanatology, but translated into something you can apply to your modern life. Listen below or wherever you get podcasts. La Petite Mortisode No. 9 - What is Thanatology? This episode is all about embracing opportunity, despite any bumps in the road. If you enjoy listening to the show, consider participating! Readings for the show are free. If you are interested, please click the button below and fill out the form. A recording will be made during your reading. The recording will be published online and becomes the property of Life, Death & Tarot. Your first name will be used, depending on your preference. You will not be charged for a reading used on the Life, Death & Tarot podcast. Thank you: Boni Dutch and Shannon Feltus for your pinpointed encouragement which gave me the push I needed at just the right time. 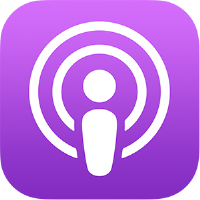 Sign up with your email address to receive special updates about podcasts, books, certifications, cool merchandise and more. Please fill out the contact form here, or contact my assistant directly by emailing Heather@imperi.co. Contact form inquiries go directly to staff.